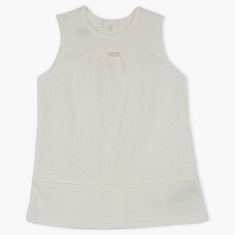 Your baby girl will look adorable and stay comfortable wearing this simple, round neck dress. Designed using a soft fabric, this sleeveless dress is gentle on your little one's delicate skin. 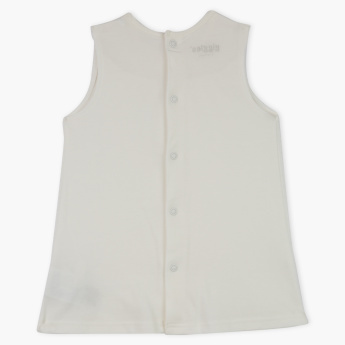 The handy button closure makes dressing your baby quick and convenient.